At Ariana’s, we offer themed wine dinners throughout the year. Each wine dinner is a 5-course meal with 5 featured wines; each course paired with a featured wine. We work with various wine merchants, planning the theme and selecting the wines. 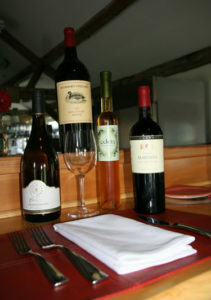 A representative from the wine merchant will be at the dinner to discuss the chosen wines and enhance the experience. Chef Martin will also be on hand to discuss the pairings from a culinary perspective. These events are held on Monday evenings, when the restaurant is otherwise closed. Dinner begins at 6 pm with guests arriving from 5:45 pm. Passed Tapas are served as guests arrive. 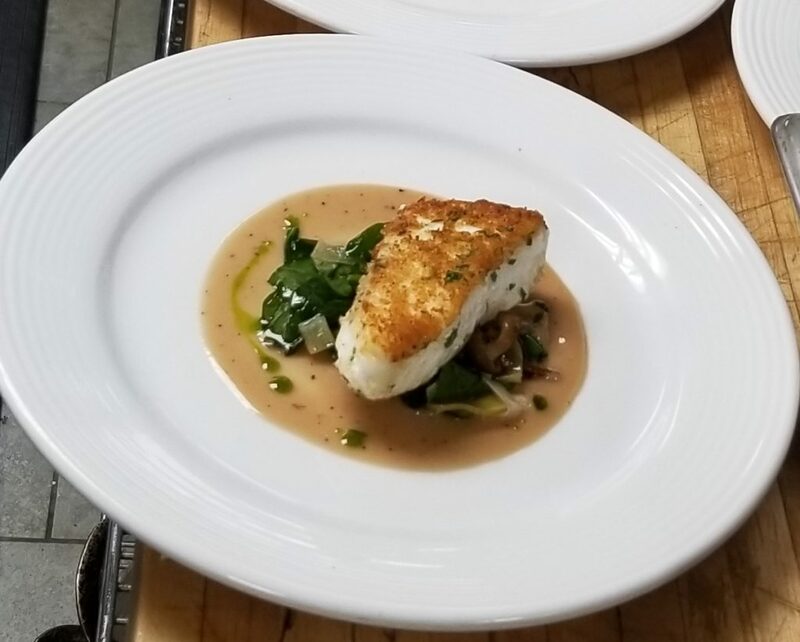 Herb and panko-crusted Halibut with roasted medley of local mushrooms with leeks, truffle vinaigrette and a truffled beurre rouge served with Primarius 2014 Pinot Noir, Oregon at June 2018 wine dinner. Reservations available beginning January 1st. Reservations available beginning March 1st. Reservations available beginning April 1st. Reservations available beginning June 1st. Reservations available beginning July 1st. Reservations available beginning September 1st. February 2018: Wines from Argentina with Derek Rush from Perfecta Wine Co.